The food in Mauritius is fabulous, everyone will tell you that. 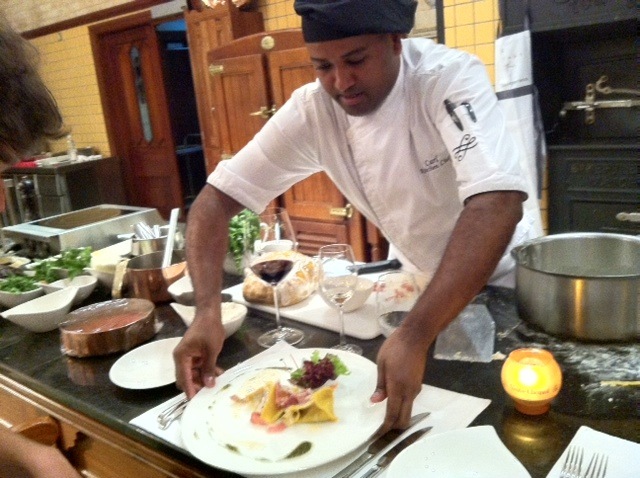 Just like the culture, the cuisine is a wonderful and unique blend of indian, african, asian and european resulting in great creole dishes such as Rougaille, vindaye and roti. These plus the great sea food, tropical fruit, palm hearts, game and even locally grown tea and coffee (don’t get me started on the rum) make it a foodie paradise. 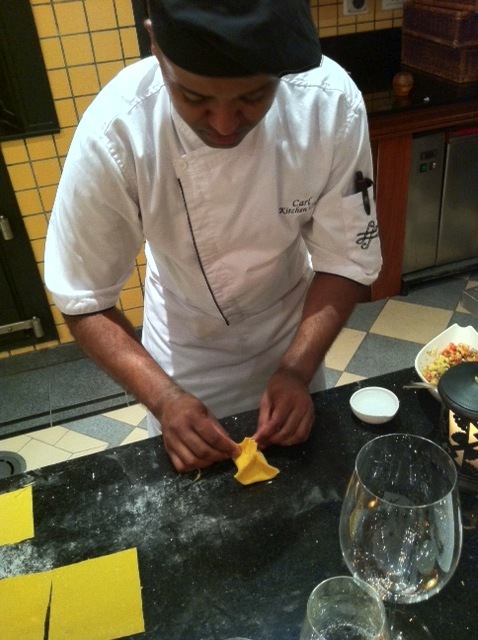 However even the most adventurous gourmet is always happy to sample some excellent pasta and, guess what, Mauritius has that too. Enrico Rodati is the executive chef of the Heritage Resorts on the unspoilt south coast of the island, as his names implies of italian original and this has obviously influenced his staff. Last night chef Carl Rheeroo invited us into the kitchens of Annabella’s at the Telfair resort to experience the chef’s table. 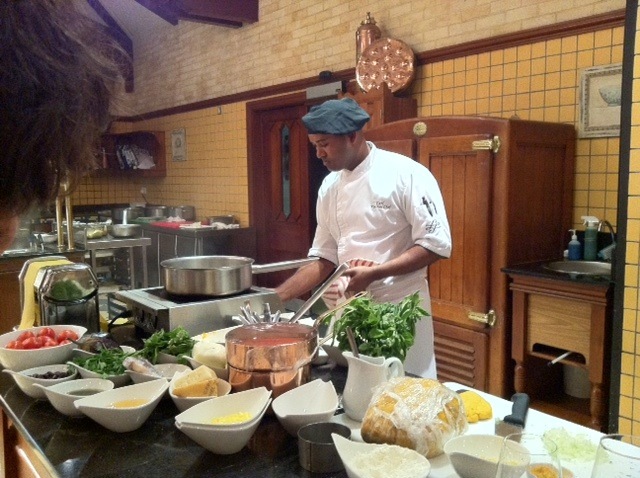 He prepared a pasta fest, step by step, right before our eyes, using local ingredients with a very italian twist. Pumpkin and potato gnocchi with scallops in a turmeric sauce, raviolis stuffed with local vegetables, papardelle with the beautiful local Camarons (giants prawns) and vielle rouge mal tagiatti. All this in the buzzing atmosphere of the kitchens during the dinner service and accompanied by italian wines chosen by sommelier Olivier Gastal-Pinach and tasted in the quieter tasting room just off the kitchens.